Click on the Registration link in the menu. It is located in the top right corner of the page. password | Choose a password for logging in. It should contain at least six characters. Confirm your registration by clicking the Confirm Registration button. You will receive an e-mail with an invoice. After settling the invoice, you will receive an e-mail with a link for activating your username and password. Click on the link to activate your account. Your username and password allows you to login to eFollowr at any time. Bring on the deals! 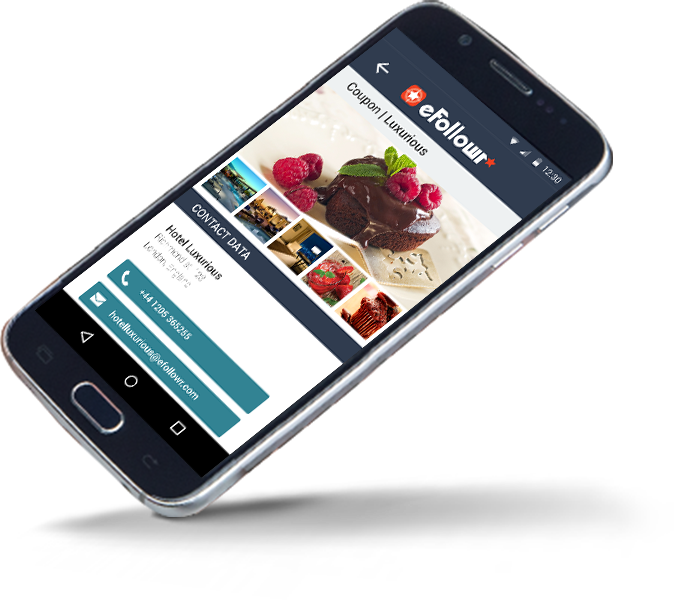 Build loyalty, create offers and inform your customers anytime, anywhere!